The UPC code for the lotion is 5280048826. Look for the Diabetes and You booklet in the pharmacy. Check out the other Walgreen’s deals here and here. the coupon link has no more coupons. but thanks for the great tip! 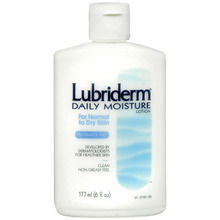 I don't think there is going to be a bottle of Lubriderm left from McMinnville to Newberg to Sherwood to Tualatin. Can't find any anywhere. So sad. I'm not very good at this coupon stuff. I'm still looking for the $10. rebate for the Tombstone pizza! I have the pizza- just no rebate. It worked for me today. $3.79 is the shelf price but there weren't very many on the shelf. I have done this deal 2x. Once with the 6 oz. and once with the 16 oz. because they were out of the 6 oz. when I went back today. I ended up getting the $8 cat. both times. This worked for me at a Seattle Walgreens. The UPC was 52800488267, and the price of each lotion was $2.99, so it ended up being only a little higher at $2.97 OOP! Worked for me, too. The cashier was so surprised that the RR came out! My lotions were $4.29 each (Sacramento, CA). Thanks for the post. hm, did not work for me. . . I checked the UPC code too.